The visit started with a meeting with Dr. Osman, Chairman of the IDSC and some senior staff at the IDSC Headquarters, where, at the outset, Dr. Osman welcomed and thanked Dr. Alpay for accepting his invitation. A comprehensive presentation has been, then, made on the IDSC as the Egyptian Cabinet think tank institution, which supports the government decisions through providing advice on best policy scenario mix and analytical research to improve the socio-economic well-being of the Egyptian society. The presentation covered the IDSC’s mission, objectives, approach, activities and programmes. On his part, Dr. Alpay briefed Dr. Osman, Chairman of the IDSC on the activities of the SESRIC in the three areas of its mandate: research, statistics and training. In particular, he highlighted the recent initiatives and programmes of SESRIC in these three areas with the aim of enhancing the Centre’s efforts to provide the necessary and up-to-date information and knowledge that would make the OIC member countries better informed of each other’s capacities and needs as well as challenges and potentials to facilitate their efforts to initiate and elaborate on cooperation projects and integration schemes. Following these presentations, Dr. Alpay and Mr. Dabour conducted a fruitful discussion with Dr. Osman, Chairman of the IDSC, on the possibilities of sharing and exchanging experiences in the areas of socio-economic research, statistical data and information, indicators and trend analysis as well as the possibilities of cooperation between the two institutions in capacity building activities, particularly for the think tanks institutions of the OIC member countries. The two parties agreed on exchanging their publications and inviting each other to the activities such as conferences and workshops organized by their institutions, especially to those related to technical cooperation for evidence-based decision making process in the OIC member countries. The two institutions also agreed on creating links to each other in their websites. Dr. Alpay also offered an invitation for the IDSC to attend and participate in the “Meeting of the Heads of the National Statistical Organisations (NSOs) of the OIC Member Countries”, which will be organised by the SESRIC, in collaboration with the Islamic Development Bank (IDB), in Istanbul on 22-23 March 2010. At the end of the meeting, Dr. Osman, Chairman of the IDSC, invited Dr. Alpay and Mr. Dabour to a short visit to some divisions of the IDSC where the Heads of these divisions briefed Dr. Alpay on the activities and the work of their divisions. 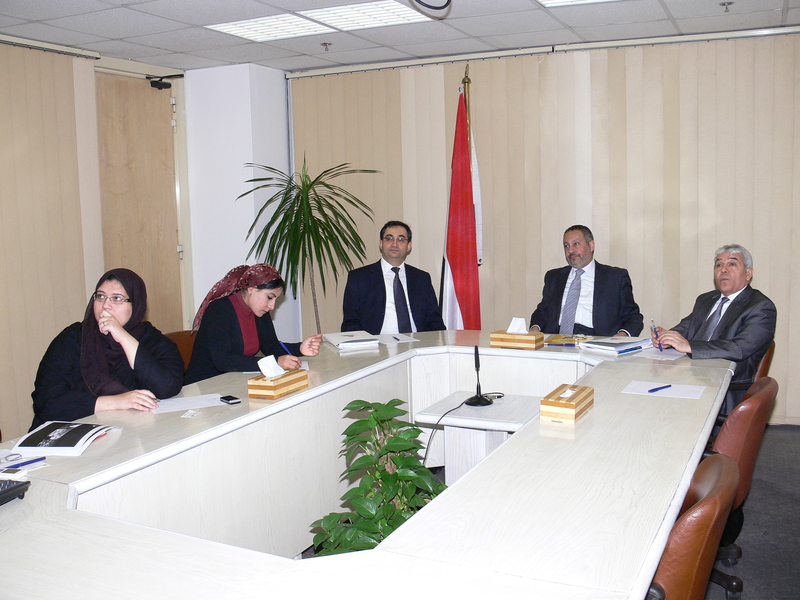 The visit of Dr. Alpay and Mr. Dabour to IDSC was preceded, one day before on 26 January, by an official visit to the National Statistical Organisation (NSO) of Egypt: the Central Agency for Public Mobilisation and Statistics (CAPMAS). During this visit, Dr. Alpay and Mr. Dabour conducted a fruitful discussion and exchanged views with H.E. 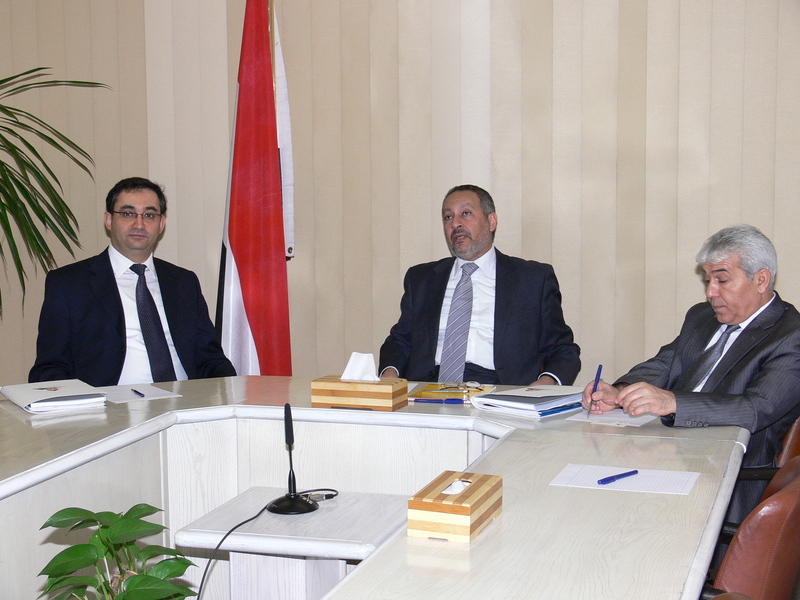 General Abu Bakr El-Gendy, President of CAPMAS, and some senior staff at CAPMAS on the possible ways and means of enhancing collaboration and cooperation between the two institutions, particularly in the areas of providing statistics and technical training on statistical capacity building for the NSOs of the OIC member countries. Dr. Alpay briefed Mr. El-Gendy on SESRIC statistical capacity building programmes, which the Centre planned to organise in 2010 in the NSOs of some OIC member countries where CAPMAS can provide some experts to give the training in these NSOs. On his part, Mr. El-Gendy expressed his thanks and appreciations to Dr. Alpay and SESRIC for their great efforts in successfully organising valuable statistical capacity building training programmes in the NSOs of many OIC member countries. He also expressed the welcoming and readiness of CAPMAS to contribute significantly to these programmes through sending experts from CAPMAS to provide their experiences on various areas of statistics to the needed NSOs of the member countries. On the other hand, Mr. El-Gendy assured Dr. Alpay that CAPMAS will continue to provide the national statistics data on Egypt to SESRIC to be included in the Centre’s database regularly through SESRIC online data collection software system. He also confirmed his attendance and participation in the Meeting of the Heads of the NSOs of the OIC Member Countries, which will be organised by the SESRIC in Istanbul in March 2010. Dr. Alpay and Mr. Dabour also paid a short visit to the Economic Research Forum (ERF) in Cairo, where they met Dr. Ahmed Galal, Managing Director of ERF and some senior staff at ERF. During the meeting, the two parties briefed each other on the various activities of their institutions, particularly in the areas of economic research, statistics and technical training. They conducted a fruitful discussion, in which they elaborated on areas of possible cooperation between SESRIC and ERF. These included the possibility of sharing and exchanging experiences in the areas of socio-economic research, statistical data bases and the possibilities of co-organising some training activities such as workshops and seminars on issues of common interests for the two institutions. They also agreed on creating links to each other in their websites and exchanging their publications and inviting each other to the activities such as conferences and workshops organized by their institutions.